Is your child interested in sewing? Great! Teaching kids how to sew is a fantastic skill for them to learn. Both girls and boys can benefit from learning how to sew. It fuels imagination, creativity and a boost of self-confidence when they see that they can create their own clothes, pillows, and much more. But when is it the right time to introduce them to a sewing machine? And which is the best sewing machine for kids? Before you dust off your grandma’s old sewing machine, check out our list of sewing machines that are perfect for kids! At what age can my child start using a sewing machine? The exact age depends on you and your child, but in general, if your child is showing a strong interest, then it might be time to give it a try! For children under 8 years old, look for sewing machines that have lower speeds and additional safety features like protective guards around the needle. The presser foot is located near the needle of the sewing machine. For most beginner projects, an all-purpose foot will get the job done. For more advanced sewing, such as zipper and buttonholes, you will need a separate foot, appropriately named, zipper foot or buttonhole foot. Sewing machines usually have different options for stitches, each varying in shape and width. All sewing machines will do a classic straight stitch, but other stitch options on the machine can include zigzag stitch, scallop stitch, blind hem, buttonhole and more. Beginners don’t need a ton of stitch options, but for kids who are serious about sewing, purchasing a machine with 10+ stitch options might be a good choice so they can eventually transition to more complex projects. Many sewing machines will come with additional needles, a screwdriver to open certain compartments of the sewing machine to clean or replace, a lint brush to clean the sewing machine of any thread lint, as well as a seam ripper, bobbins and others. If these things are not included with the sewing machine, be sure to have them on hand. 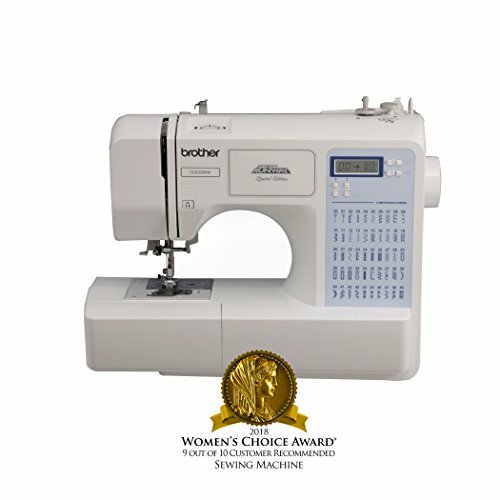 Most of the sewing machines on this list are small and lightweight, making them easy to move from room to room or to take to a sewing class. The upside to heavier machines, like the ones on our list that feature metal frames, is they are sturdy and durable, preventing any unwanted movement and also holding up to plenty of sewing projects. While sewing machines are generally safe, it goes without saying that needles are sharp and children need to learn to never to get their fingers near the needle when sewing. Children should be supervised when sewing on a sewing machine. Signing your child up for a sewing class (or teaching them yourself) is not only a good way to learn the basics but a great way for them to learn how to use a sewing machine safely. Many of the sewing machines on this list are great for both kids and adults. We looked for machines that were relatively lightweight, affordable and made by companies that produce reliable, quality sewing machines. Keep reading to find out what our top 10 picks are! Is your child serious about taking up sewing? Then this is the machine. 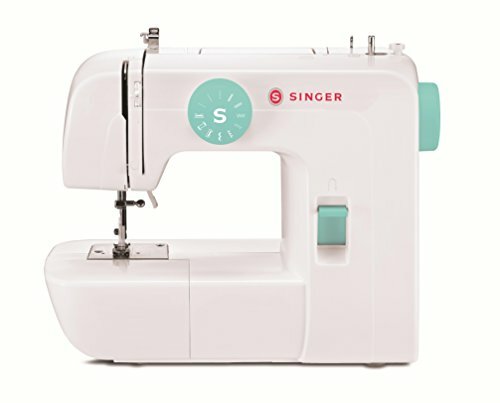 The Singer Start is an easy-to-use sewing machine perfect for beginners. With just a turn of the dial, choose from 1 of the 6 basic stitches. This portable sewing machine is lightweight, coming in at a mere 7 pounds. It includes a foot control, all-purpose foot, zipper foot, buttonhole foot, a pack of needles, and more. The Quick Start Guide is easy to follow and will have your child set up in no time. 6 Basic Stitches to choose from make it easy for beginners. Comes with 3 presser feet and needles. Quick Start Guide is easy to follow. Not so great with thicker, heavy-duty fabrics such as denim. 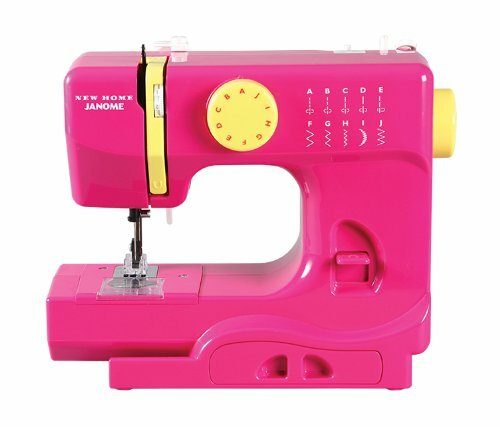 Not ready to invest in a “real” sewing machine for your child quite yet? The Sew N’ Style is a great way to introduce sewing to your child without dropping a ton of money on a sewing machine. The protective needle guard makes this sewing machine safe for younger kids. The “thread” is thicker and more like a yarn than thread. Because of the thicker thread, this machine works on felt and thicker fabric. This machine comes with enough fabric to make 5 projects such as a pouch and a small plush unicorn. It also comes with a pompom maker attachment. Easy to use and safe, especially for young children. Comes with materials to make 5 projects. Not a “real” sewing machine. Limited to the types of projects you can do. This is another sewing machine for the enthusiastic beginner or children with a good grasp of the basics. The Janome Arctic Crystal sewing machine has more stitch options, with a total of 15, as well as a 4 step buttonhole. Stitch length and width can also be adjusted. This set comes with 4 presser feet and a removable free arm (perfect for basic quilts). The 3-piece feed dog system made it easy to feed fabric and the front load bobbin system (with instructions on the machine) made loading the bobbin very easy. The full metal frame makes this sewing machine sturdy, but also adds a bit of weight to it. This machine is perfect for older children who are ready to do some serious sewing. Plenty of stitch option and ability to adjust width and length of stitches. 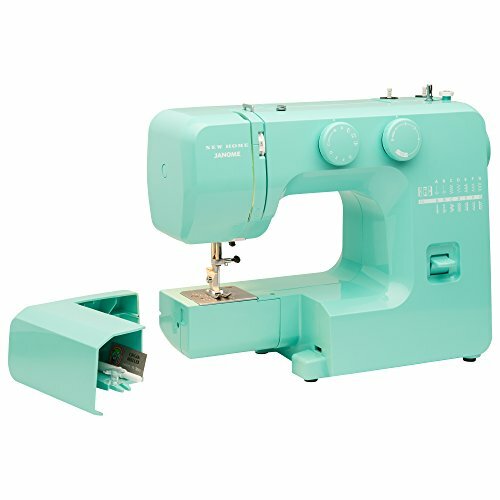 The metal frame makes this sewing machine durable and holds up to a lot of projects. Comes with basic accessories to get started quickly. May not be suitable for those just starting out. Is your child ready to make a fashion statement and try their hand at sewing some of their own clothes? Well with the name Project Runway, you might guess this might be the sewing machine for your kid. This machine has a ton of stitch options, 50 to be exact, including 5-step buttonholes that make sewing buttonholes quick and easy. It also comes with 6 different presser feet that are perfect for making garments. The drop-in bobbin set up is super simple to use for quick set up and threading is easy thanks to the auto needle threader and bright light. The Brother Project Runway sewing machine comes with all the accessories you need to get started. It is also very lightweight, perfect for taking to the next sewing class. Plenty of stitch options and presser feet that are perfect for making clothes. Bright light makes even dark fabric visible and easier to see to work with. Lightweight, portable machine has a handle for easy travel. LCD screen makes it easy to select one of the 50 stitches as well as width and length. Great price for a quality machine. The automatic threader can be a little tricky and not always actually thread. This colorful little sewing machine is super portable, very affordable and is great for kids just starting out. The presser foot with finger guard also keeps little ones’ fingers safe. The Janome Fast Lane weighs a mere 5 pounds, making it easy to move from room to room, travel or take to sewing class. It has 4 different stitches to choose from including straight stitch, zigzag stitch, scallop stitch, and multi-stitch. There are also 6 stitch width and length options to choose from. 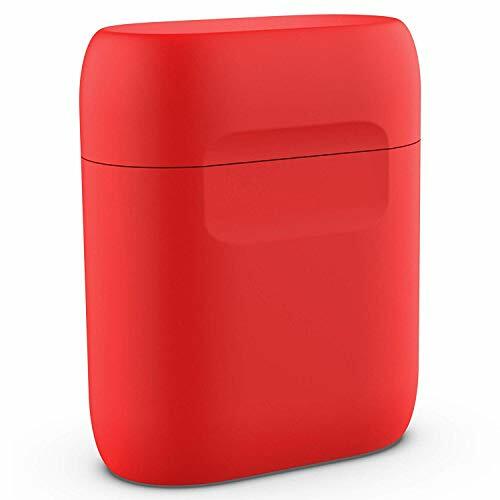 The machine also looks great too and comes in a variety of colors including fuschia, green, mint, red, yellow and others. And the price is so low, you may even want to get one for yourself. Very lightweight. A great portable option! Comes in fun color options. This machine won’t hold up to heavy-duty projects. This Brother sewing machine is much simpler than the previous Project Runway machine, making a great option for those just starting out. 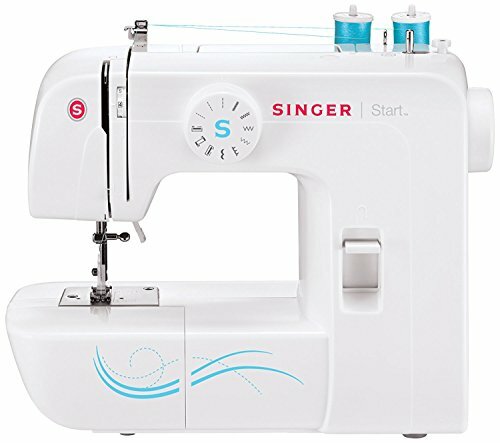 Unlike the other beginner sewing machines, like the Janome machines, on this list, this is a full-size sewing machine. However, it is still lightweight despite its larger size. With a turn of a knob, select one of the 10 stitch options including 4-step buttonhole options. An extra bonus to this set is that it comes with a DVD to help your child get started sewing. This full-size machine is lightweight. Instructional DVD is very helpful. Perfect amount of different stitch options for beginners. Not lightweight enough for younger children. 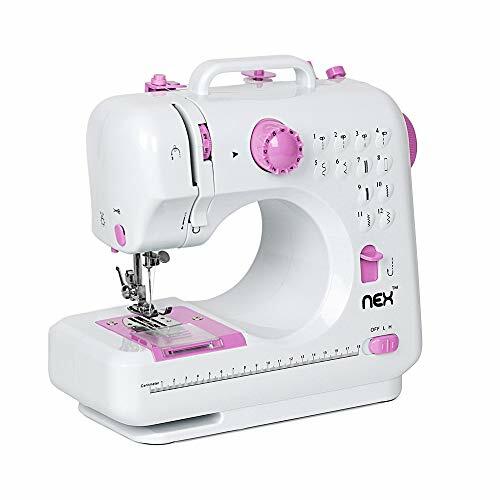 The NEX sewing machine was built with children in mind. This lightweight portable machine can be powered by a DC 6V cord or batteries. For most basic projects such as stuffed animals, children’s clothes, pillows, basic quilts and the like, this sewing machine will do the trick. It has 12 stitch patterns, a built-in measuring tape and two different speeds (both of which are safe for kids). While this machine is great for beginners, children looking to take their sewing to the next level may need to consider a different machine. There is no buttonhole option and the machine only comes with an all-purpose presser foot. Light and portable, perfect for younger children. Plenty of basic stitch options. Built-in measuring tape makes measuring convenient. No advanced features for those looking to do projects involving buttonholes, zippers, etc. The Singer Simple is just that— simple. It’s a great beginner sewing machine that will allow children to start with the basics and work their way up to more detailed projects without having to buy a new machine. This machine has 32 stitch options and a buttonhole option. The presser foot lifts higher for sewing thicker fabric. This machine comes with 4 presser feet for making buttonholes, sewing buttons, a zipper foot, and an all-purpose foot. This machine also comes with a helpful instructional DVD. Great for beginners that will want to explore more advanced sewing projects in the future. Presser foot can be lifted extra high for thicker fabric. 4 snap-on presser feet included that are easy to get on and off. Needle threader doesn’t work very well. 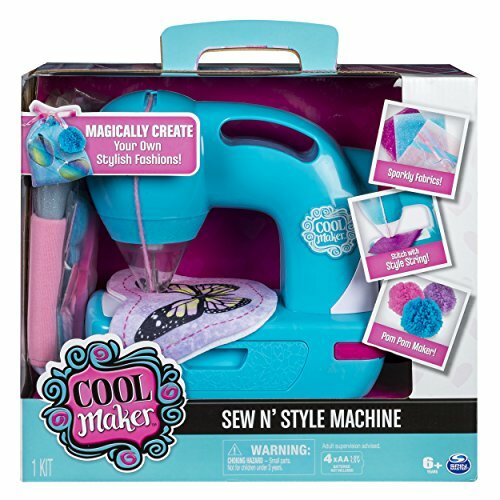 This machine may look complicated, and while it wouldn’t be great for younger children, it is great for the older child looking to do some serious sewing. This quality will last your child for years to come. It comes with a wide table, perfect for larger projects such as quilts. The speed can be adjusted, capable of sewing up to 850 stitches a minute! There are a total of 60 stitches to choose from and 7 different buttonhole options. The automatic threader worked great, and even though it is not an embroidery machine, it has some beautiful decorative stitch option to do some basic embellishments on projects. If all the options seem overwhelming, an instructional DVD will help get your older child set up and sewing away. 60 stitches and 7 buttonhole options as well as decorative stitches. Easy to use automatic threader. Great for both beginner and advanced projects. Wide table included for larger projects. Here’s another Singer sewing machine on this list and for good reason. It’s an easy to use, 7 pound, portable sewing machine that is perfect for a child who doesn’t need all the bells and whistles. This machine has 6 basic stitch option, all of which are pre-set to a width and length. It is fast enough to do up to 750 stitches per minute! Again, this is another Singer with an extra-high presser foot that can accommodate thicker fabric. It does come with three presser feet including an all-purpose food, a buttonhole foot, and a zipper foot. The downside of this particular machine is the price. 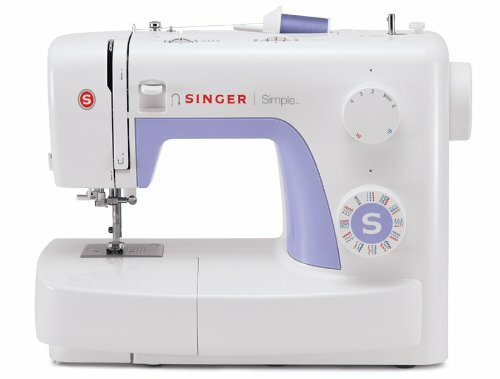 Considering how basic it is, it’s priced higher than the other sewing machines on this list. Perfect for those starting out on a sewing machine. Can stitch up to 750 stitches in a minute! Comes with 3 presser feet and the presser feet can accommodate thicker fabric. More expensive than other basic sewing machines. Q: What are all these stitch options for? A: Some of the machines on this list feature up to 60 different types of stitches! But how do you (and your child) know which one to use? For beginners, using the straight stitch is the most commonly used stitch. It is exactly as it sounds— a straight stitch. Another commonly used stitch is a zigzag stitch. It can be used for decorative purposes, allowing a garment to have some stretch or helping to reinforce or finishing the edges of a project. Finally, a stitch that is repeatedly mentioned in the above machines is a buttonhole stitch which is for making (you guessed it) a buttonhole. If you aren’t sure what a stitch is for, you can refer to the machine instruction’s manual for more details on what the stitch settings on your machine are used for. Q: How do you load a bobbin into a sewing machine? There are plenty of great options on this list, many of which work great for kids as well as adults, so you may even find yourself using for a project or two! For younger kids and absolute beginners, the Singer Start is the perfect place to, well, start! It is affordable and provides everything kids need to do a variety of beginner projects. 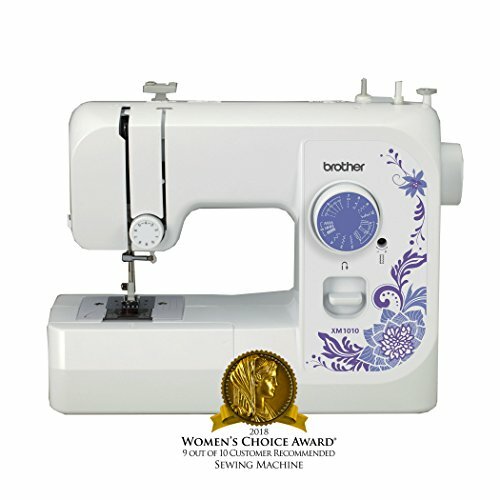 For older kids looking to take a deeper dive into the world of sewing, the Brother Project Runway is one of the best sewing machines for kids to start on and advance to more complex projects.